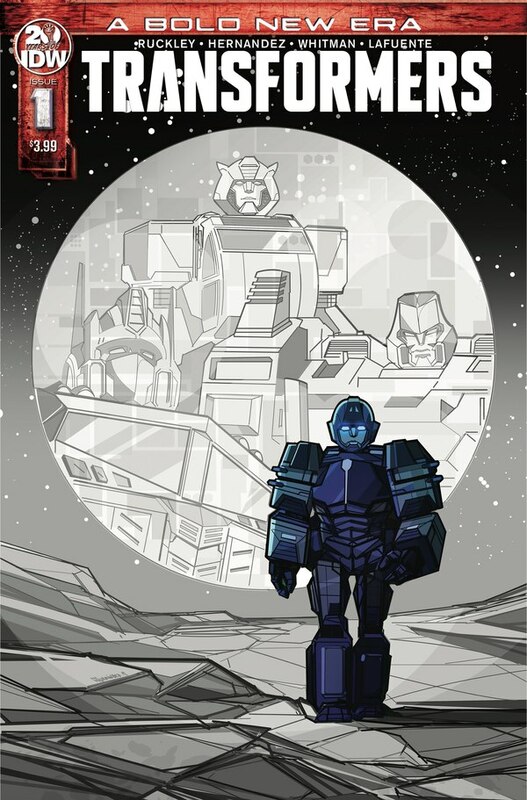 To close out Combaticon Awareness week, we look at Onslaught! 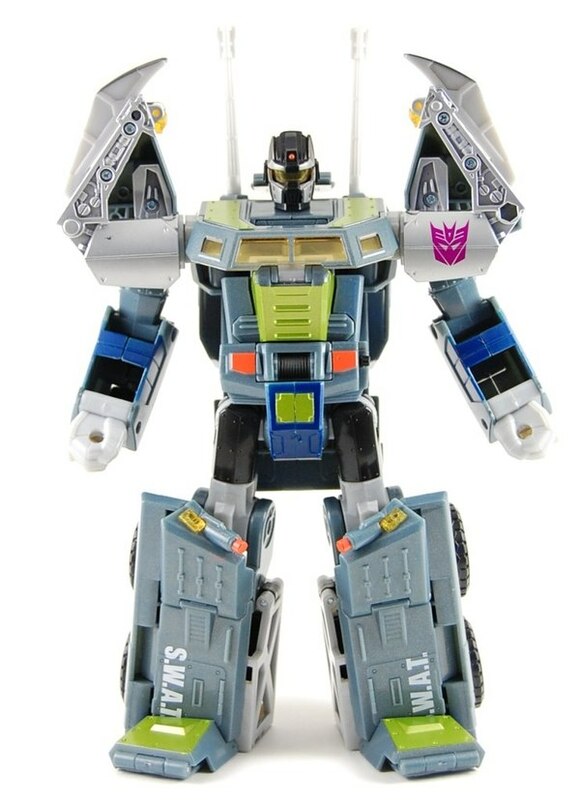 While there are a couple toys we'll be discussing, the one we're mainly talking about is one that, while not a combiner, deserves not to be forgotten in the way or newer, more Bruticus-ready Onslaughts. Keep reading to learn of the Onslaught in the forgotten size class! But first, a quick detour. 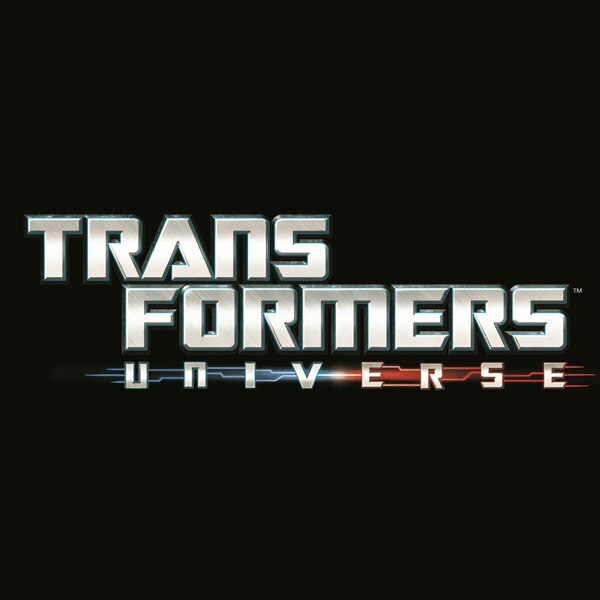 When the Classics line was resurrected as Transformers Universe, it was expanded considerably. 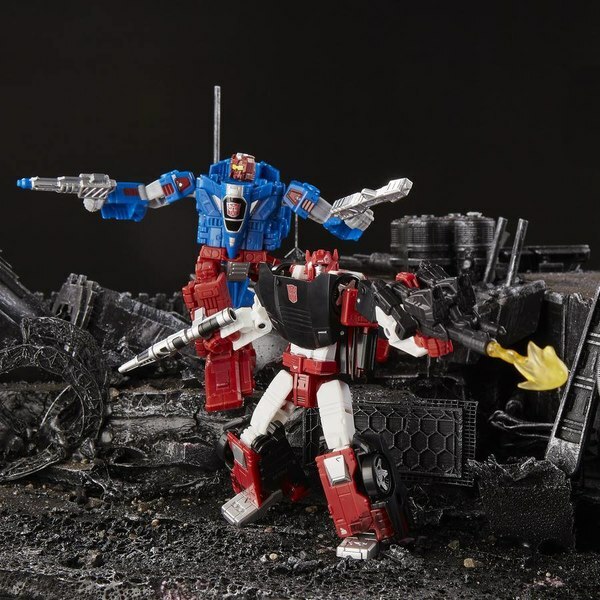 Keeping the Deluxe and Voyager classes from the stopgap Classics line between Cybertron and movie product, Universe added smaller and larger figures. 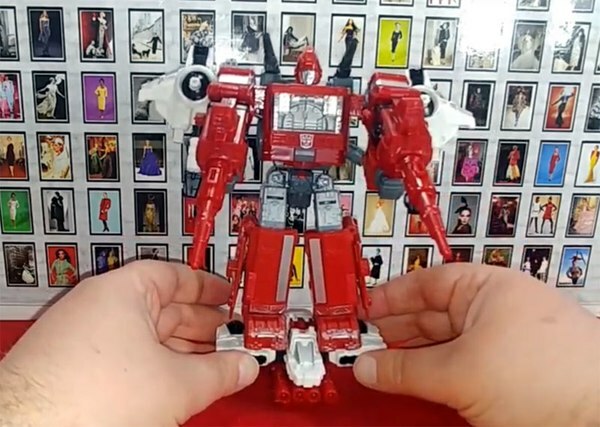 Released the same year as the Onslaught that we're going to focus on, 2008's Legends-class Onslaught was a recolor of one of the first molds made for the Legends class, Cybertron Red Alert. It does bear a fairish resemblence to the star of our closing number. 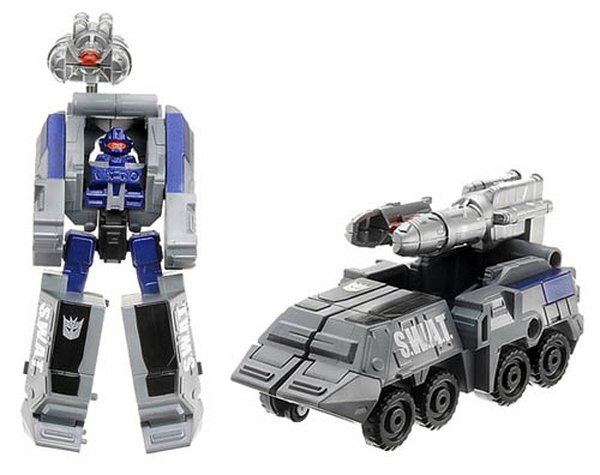 On the other end of the new size-classes, we have Ultra-class Onslaught. 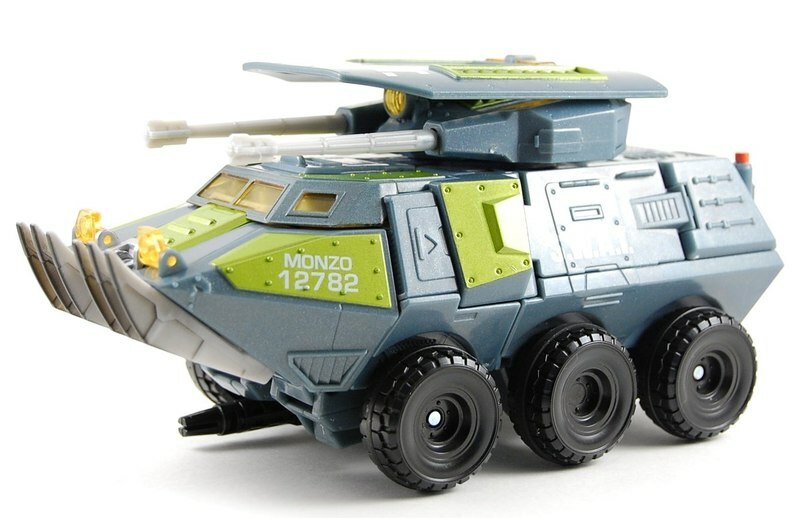 Big enough that it would probably be considered Leader-class today, Onslaught becomes a massive six-wheeled SWAT vehicle with plenty of fun features. Pressing the red button on Onslaught's roof alternates beween gun and siren sounds, both of which have appropriately placed LED lights. Rolling the central wheels with enough friction triggers a great metal-crunching sound effect. On top of which, his turret turns and the bladed ram on the front of the vehicle can be deployed. 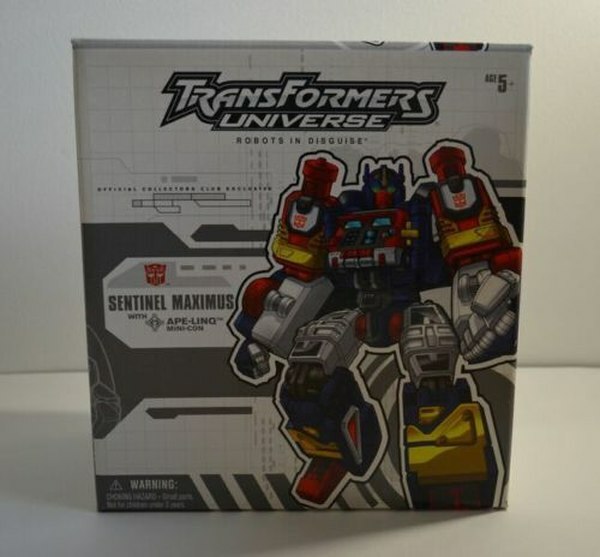 Robot Mode is equally hefty - barely a head shorter than Generations Leader Ultra Magnus! - and doesn't lack for gimmicks either. 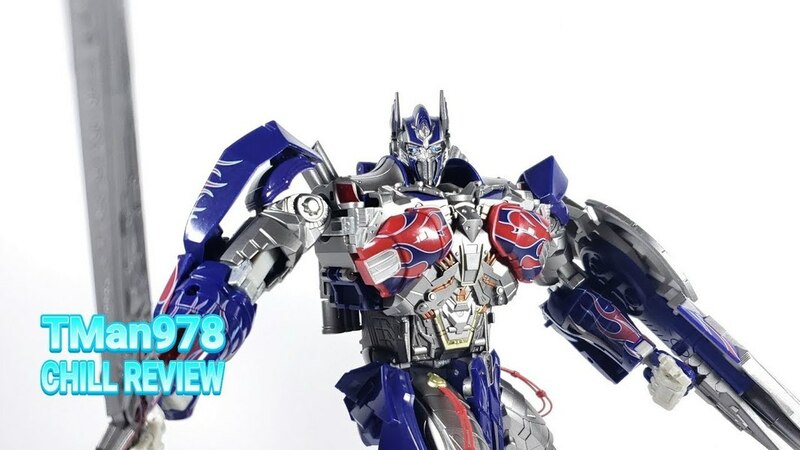 For starts, he has a springloaded flip out gun on his right forearm. 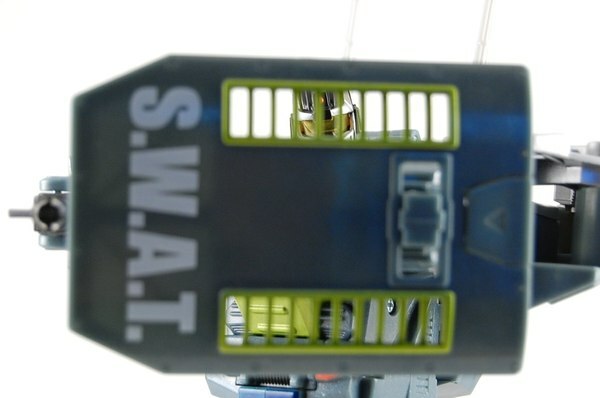 On the left, a block flips out to attach his single accessory - a large SWAT shield. The shield can also attach to the turret in either mode, and has a hinged flap that can act as the light-and-sound button when stored there. 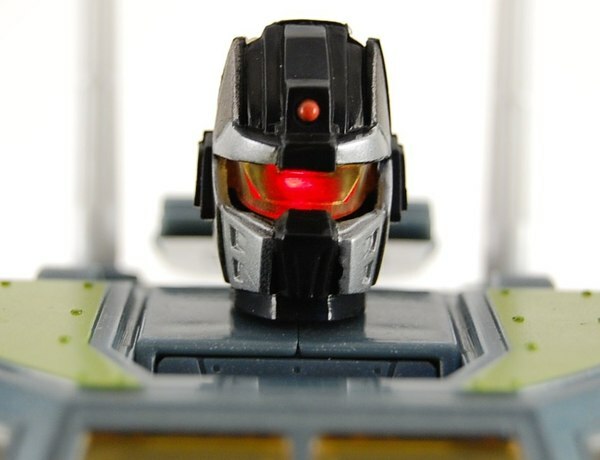 The lights and sounds still work in this mode, and Onslaught's visor lights up as well while still retaining the ability to move his head! Onslaught's articulation is average by current standards - but for his size and the number of gimmicks he's sporting, it's pretty good! The toy has two flaws worth mentioning; one is minor and the other is subjective. The tab that attaches the shield to the figure is fragile, and not up to the task. It breaks relatively easily. 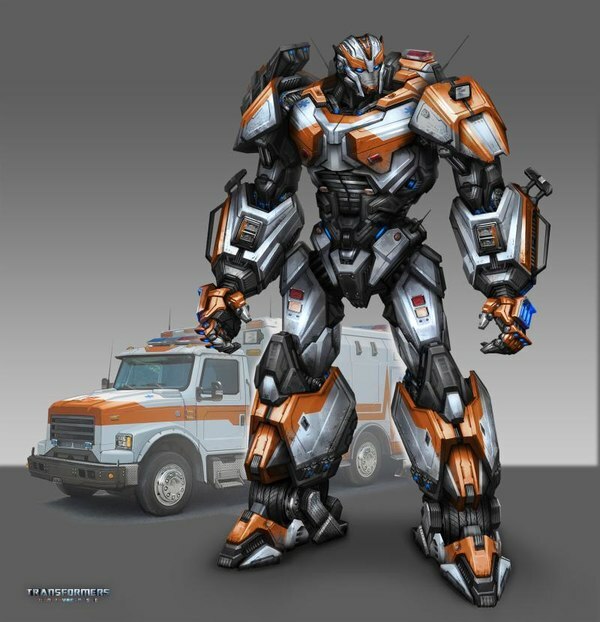 Luckily, the block on the arm and the lightbar on the turret do most of the work in that regard, so Onslaught can break that tab and give up next to nothing in terms of form or function. The subjective flaw is his elbows, which are designed to turn inwards, gorilla-style. It's a very Gundam thing to do, and sensible for a robot sporting a shield, because the shield is positioned to have that motion bring it across his body. You can adjust the arms to make the elbows bend in the more traditional way too, but there are hollow spots in the forearms that face front if you do that. It's a minor thing as I said, and your mileage may vary. 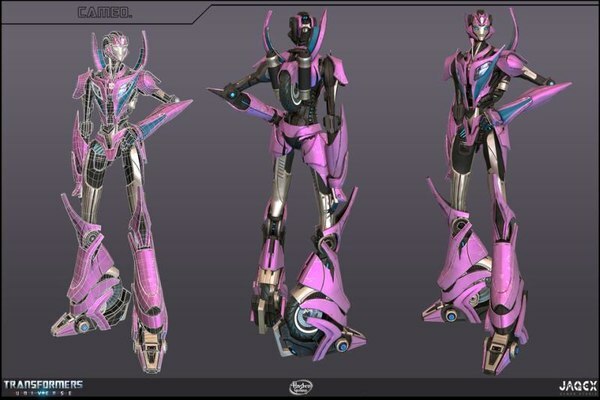 No, that's not Mega-Octane. 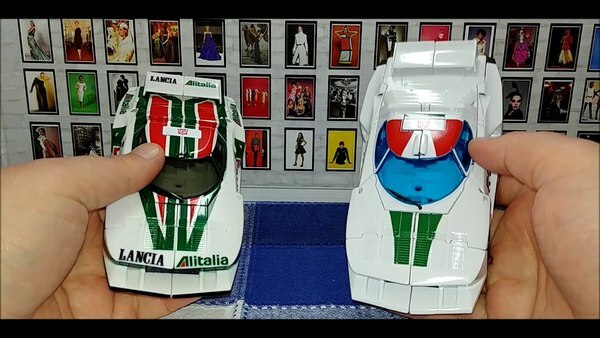 (But man, it'd be great to have a Mega-Octane from this mold too.) Universe Onslaught was reused as a Walmart-exclusive version of G1 Headmaster Hardhead, equally bereft of his once-defining gimmick. 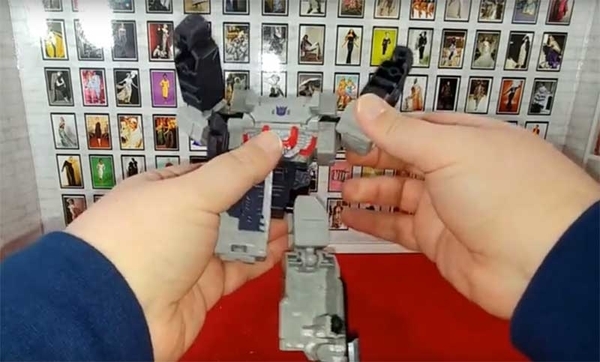 (Although, there's a third-party upgrade kit for that...) The mold was also used as a Collector's Club exclusive version of Euro-G2 Decepticon Leader Clench. 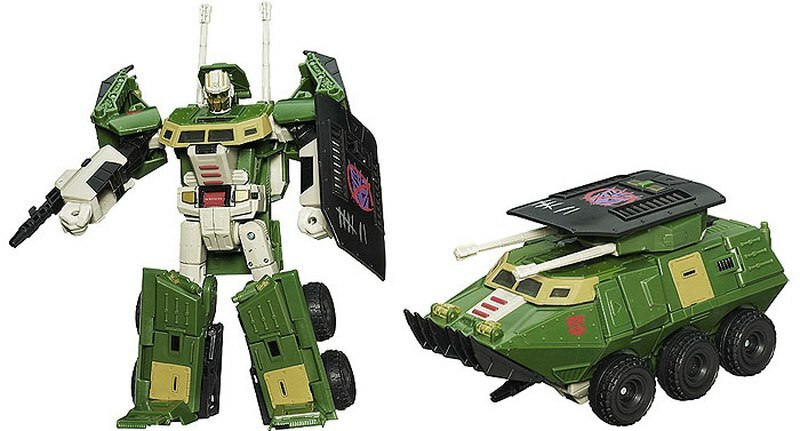 And of course, besides all historical instances, we're getting new Combaticons right now that ExVee has covered handily this week. 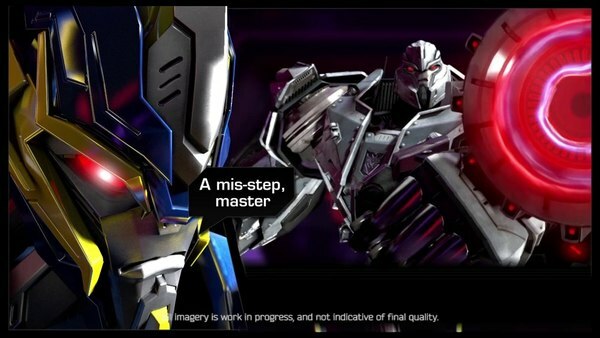 That Swindle looks great. 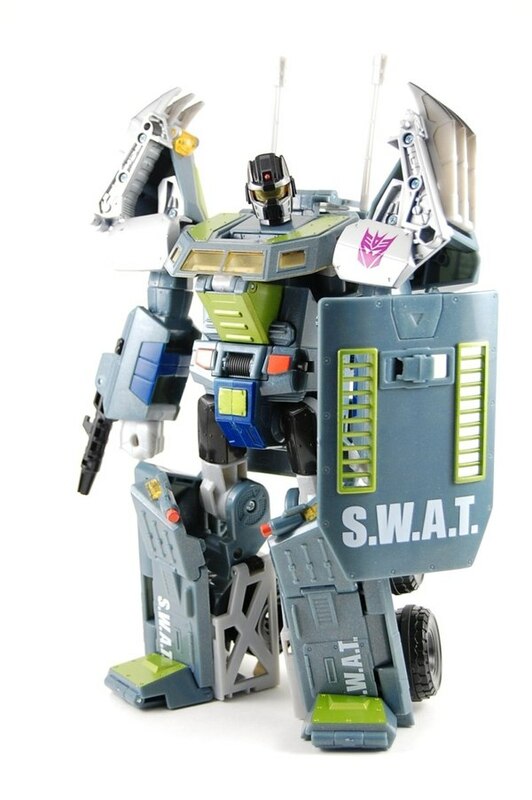 Bruticus is fully established as one of the Transformers evergreens: characters and concepts that can be counted on to entertain and capture the attention and imagination of kids and adult collectors alike. Not a bad track record for a set of figures that escaped their cancelled toyline! Maybe it'll be a few years again before we see another new version of any of the Combaticons, or maybe they'll turn up at Toy Fair as part of the next mass-market cartoon. But we can be pretty well assured that we will see them again.